The Trump administration will take action against an Iranian ship that has been stationed at a key choke point in the Red Sea for months and is believed to be providing significant military aid to terrorist forces in Yemen, according to U.S. officials and military experts familiar with the situation. 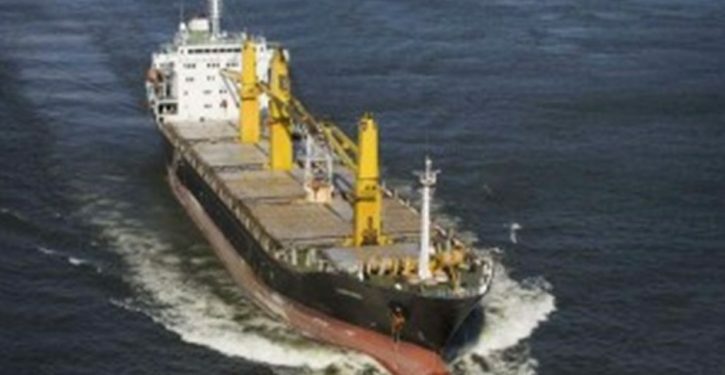 An Iranian ship believed to be masked as a cargo vessel has been identified as the “mother ship” stationed in the Red Sea providing targeting information for Houthi anti-ship attacks, which have increased in recent months, including a late July attack by Iranian-backed rebels on a Saudi oil tanker. The ship, identified as the Saviz, was delisted from U.S. sanctions by the Obama administration as part of its efforts to uphold the landmark nuclear deal with Iran, U.S. officials confirmed to the Washington Free Beacon.